First install the “Remote Access” via Server Manager or PowerShell. 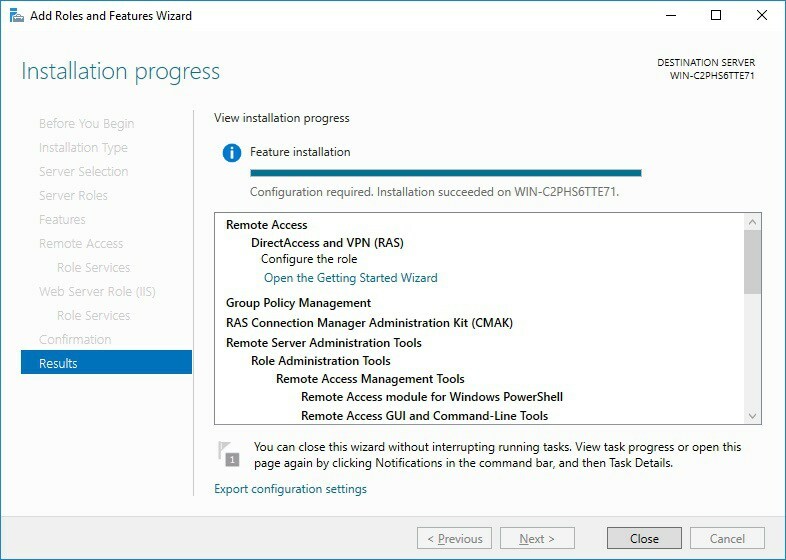 Select the Remote Access Role and click next though the wizard. 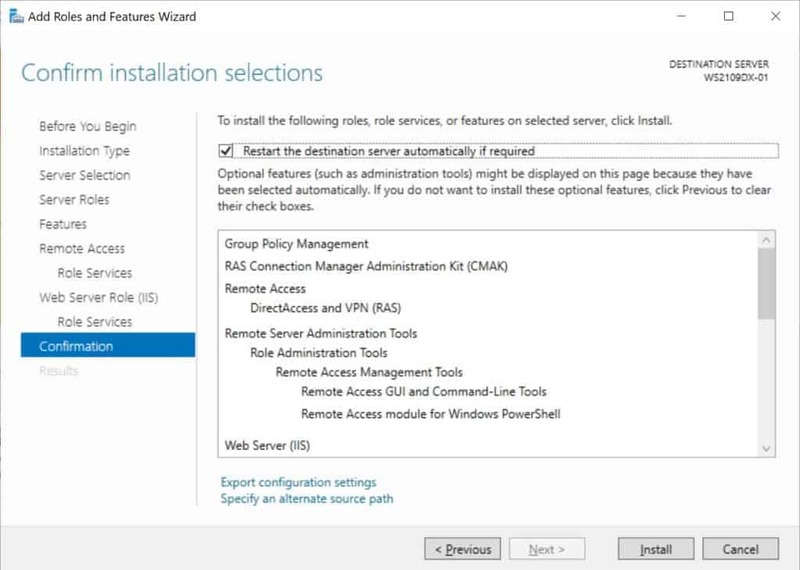 On the final step, select install to install the Remote Access role. This might requires a reboot of the server. 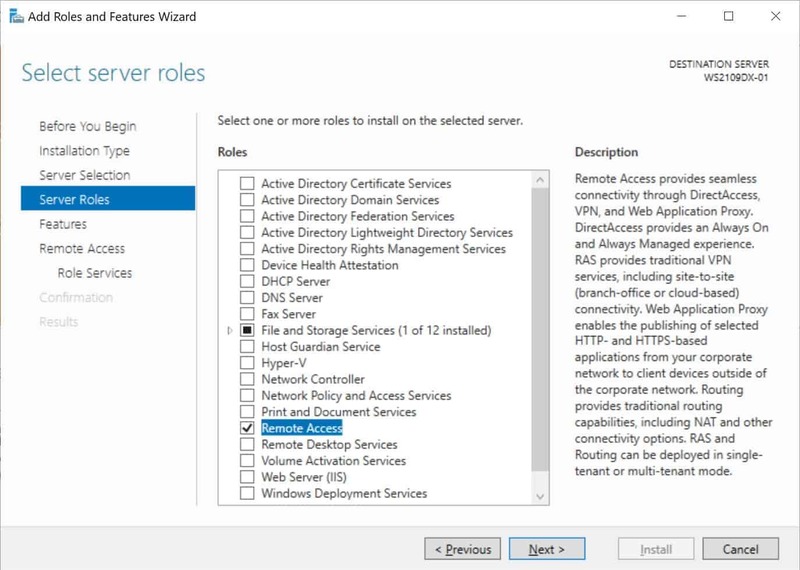 After you have successfully installed, now you can start the wizard to install and configure the VPN server in Windows Server 2019. After the features are installed, which can take a while to finish you see the link for the Getting Started Wizard. Click on “Open the Getting Started Wizard“. 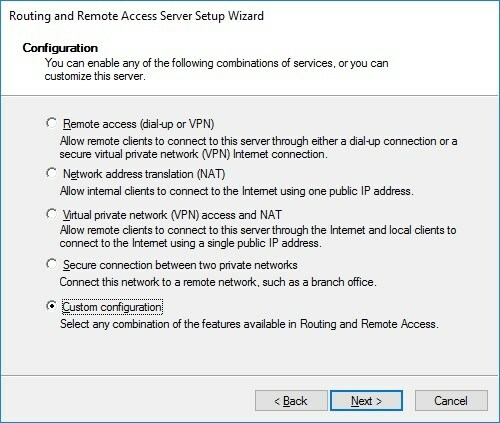 This opens a new wizard which will help you to configure the server. 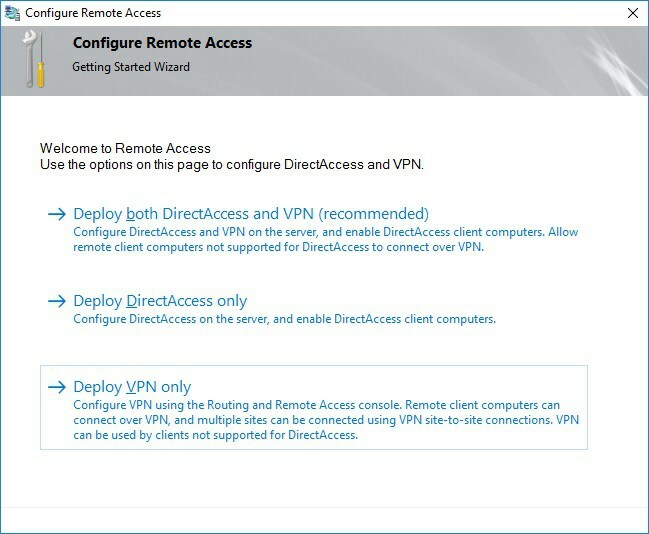 On the first screen select “Deploy VPN only“. 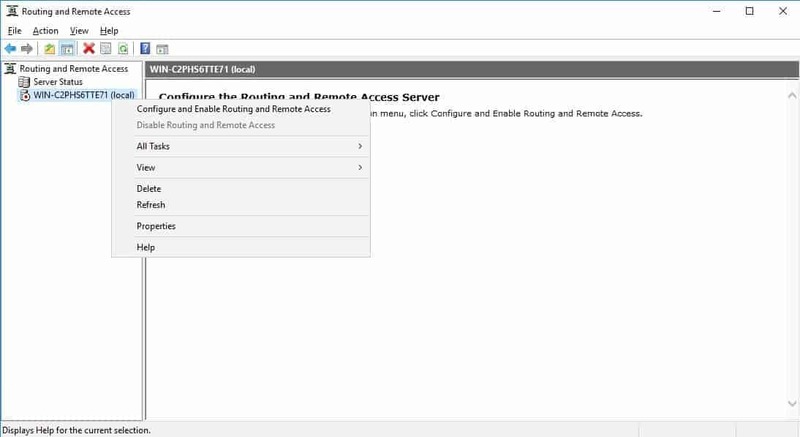 Right click on the Server name and click on “Configure and Enable Routing and Remote Access“. 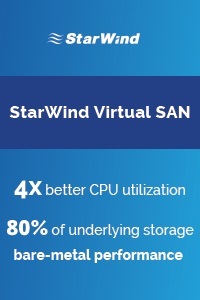 On the new wizard select “Custom configuration“. After you have click finish you can now start the Routing and Remote Access service. 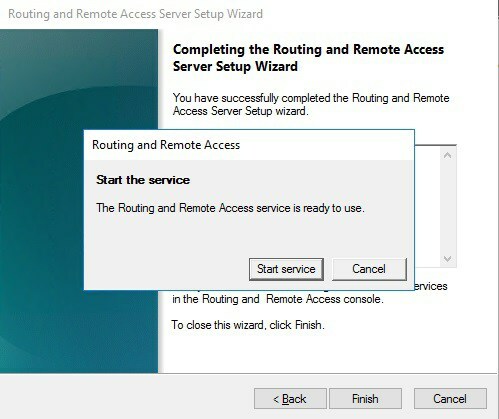 After the installation Users have to be enabled for Remote Access to connect to your VPN Server. 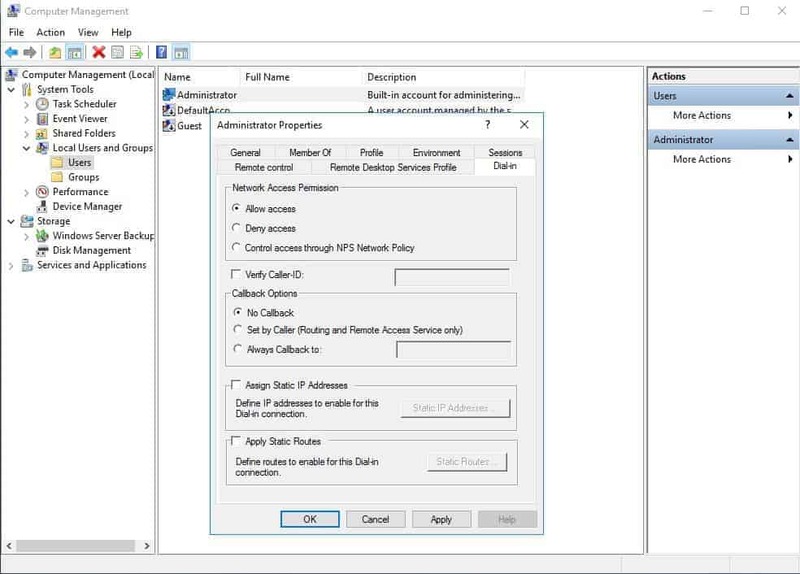 On a standalone server this can be done in the Computer Management MMC, in a domain environment this can be done in the user properties of an Active Directory user. If you don’t have a DHCP Server in your environment you have to add a static IP address pool. 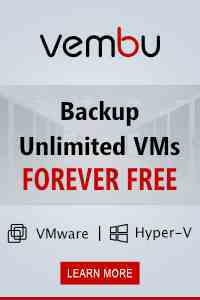 This is often needed if you have a single server hosted at a service provider. 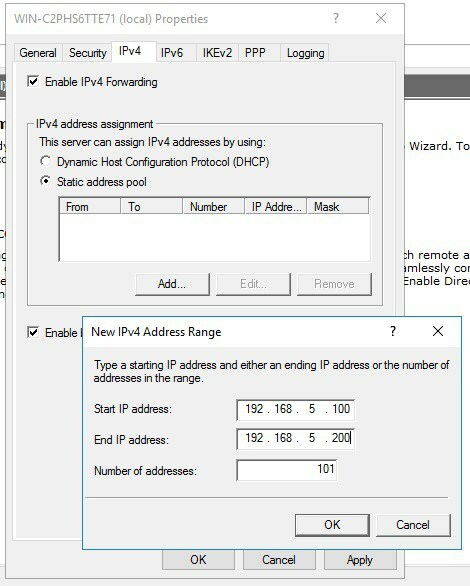 In the properties of your VPN server you can click on the IPv4 tab and enable and configure the “Static address pool”. 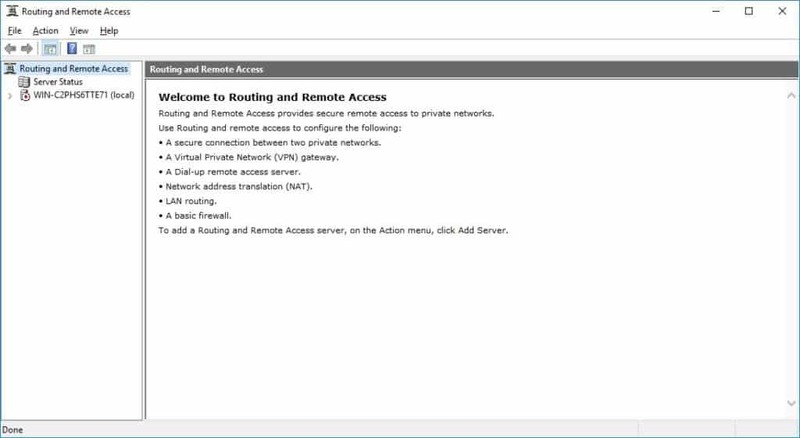 You now have to add a IP address from the same subnet as your static address pool to the network interface of your server, so users can access the server. I hope this helps you to setup a VPN server in a small environment, lab or hosted server. 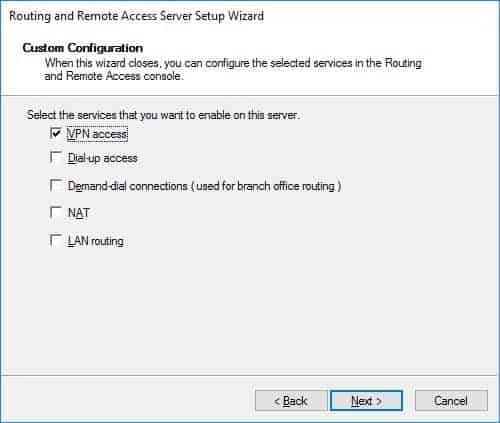 Does this configuration work as an always on VPN for Windows 10? 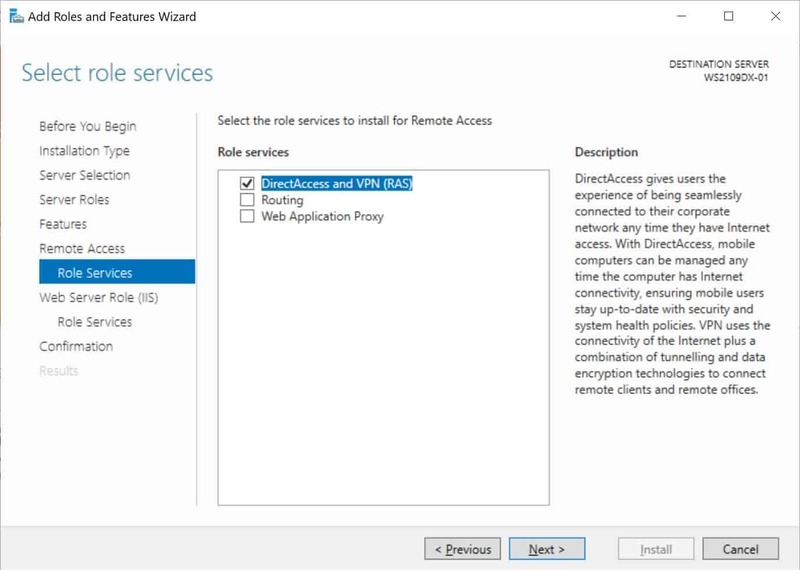 I need to test always on VPN in my lab, I was reading a guide on how to install that in Server 2016 and it requires two firewalls which I do not have. 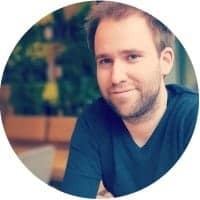 Can 2019 work with only 1 firewall? Hi, well explained. 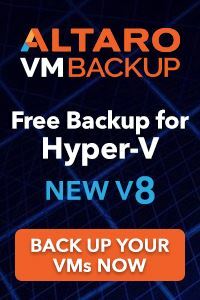 I have set these up several times and I am having trouble under my first 2019 server so thought there might be a trick (for example, granting permission under NPS) but this is the way to do it and I am having a problem connecting. Will look at my hardware firewall.